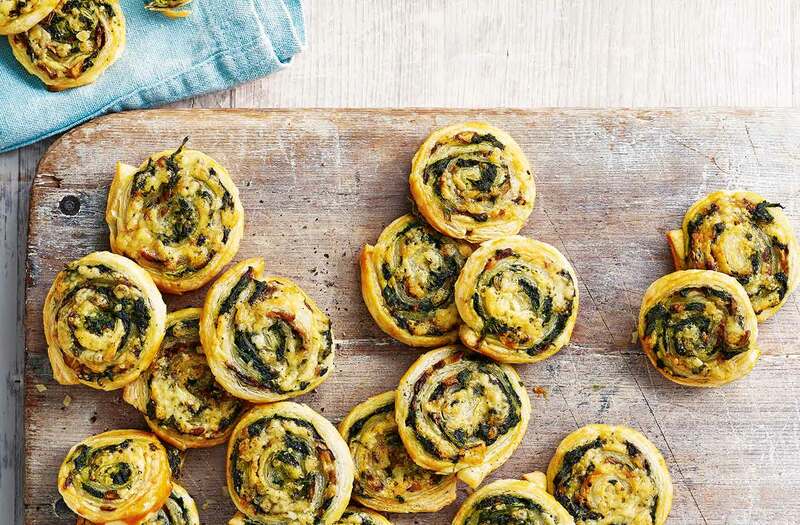 Golden puff pastry is rolled with veg and melting cheese for these pretty pinwheel snacks – dip in tomato salsa for an extra treat. 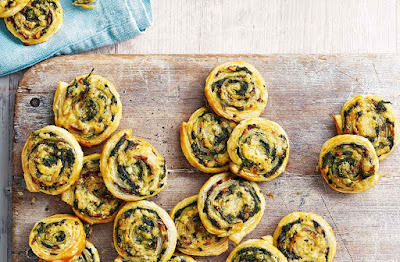 The pinwheels make the most of ingredients from the freezer so you can have everything you need on standby. 40 x 30cm. Spread the mushroom and spinach mix over the pastry, leaving a 1cm border, then scatter with the cheese. Roll up as tightly as you can from a shorter end and chill for 10 mins (if you have the time). Preheat the oven to gas 6, 200°C, fan 180°C. With a sharp knife, cut the chilled pastry roll into 24 slim discs. Place on a large baking tray lined with nonstick baking paper, brush with a little egg and cook for 20-25 mins or until golden and crisp. Serve with salsa or ketchup for dipping, if you like. Tip: Once cooked, cool, then place in a freezerproof container. Cook from frozen in a hot oven for 5 mins until crisp.